Thanks to everyone who participated in the Palin PPC contest (see post below). I like this one because it’s a solid tease with a lefty slant. This is a great counterbalance to the first one. Similar approach with a righty slant. This one is very plausible as an actual ad. I’m interested to see the CPC of this more factual approach. Avg US life expectancy is 78 years. Is Palin qualified? Read this. Solid. I love that this effort hits right at the core issue of Palin and does it in 15 words. Certainly, there were some entries that probably would have generated a higher CTR than those above. However, since I have to actually build an ad group and run these ads – and link them to a landing page – I wanted to stay away from anything along the “Palin: Naked and covered in Skippy peanut butter” vein. All good interactive marketers know that it’s not about clicks, it’s about qualified clicks, so I selected the 4 finalists in that spirit. I’m running the same display URL for all ads www.thesarahstory.com since it fits all of the ads. 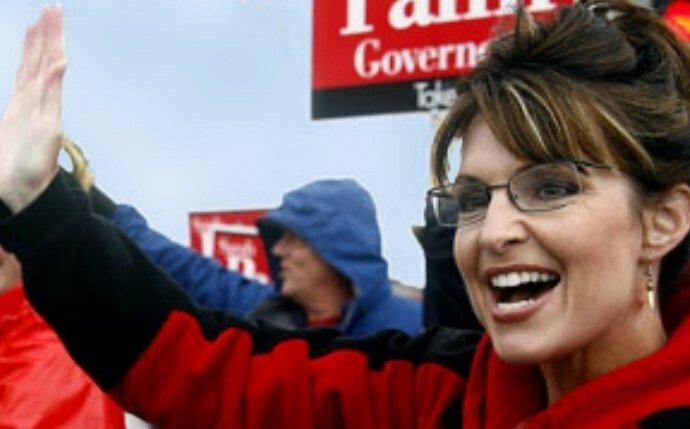 I scoured the Web and found different news coverage and blog posts about Palin to fit each of the ads, in an effort to keep Quality Score high enough to keep the ads live. Finalists, please don’t recruit an army of friends to click on your entry so you can win my $200. Hopefully, you value the scientific and social media nature of this experiment enough to not do that. I reserve the right to not pay you if I think you gamed the system. Ads should be live until Thursday night – again assuming the CTR stays high enough for them to keep running. Results will be announced on Friday. Thanks for playing!